I want to make a difference and I love to help people towards living peacefully on our gorgeous planet. 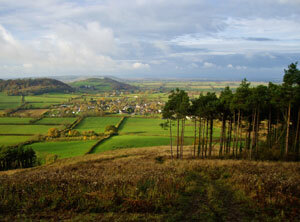 The beautiful landscape above is in Somerset where I grew up. 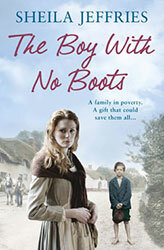 I wanted to share its magic with you, and so I have used it as the setting for THE BOY WITH NO BOOTS, published on 29th Jan 2015 by Simon and Schuster UK. A heart rending story, rich in Cornish Folklore and the wild beauty of the Atlantic coast, with characters you’ll never forget and Cornish traditions such as the Helston Flora Day and the Hal-an-tow. A moving, dramatic tale about a beautiful child rescued from a shipwreck. No one knows who she is or where she has come from, and eight year old Lottie refuses to talk. Adopted by the Lanroska family, she settles down and forms a relationship with the family’s eccentric Cornish grandmother. She makes friends and enjoys the freedom of running wild in St Ives. But who is the artist who is stalking Lottie and who becomes obsessed with painting a picture of her, a painting destined for galleries London and New York? And what strange twist of fate finally brings her face to face with this mysterious man? 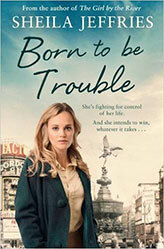 A child can be stronger than an adult, but what will happen to Lottie when the family are torn apart by tragedy? So much trauma, so young. This is a story that celebrates the strength of love and proves that friendship knows no barriers. 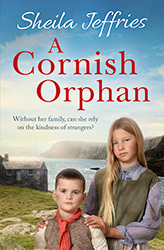 A CORNISH ORPHAN is set in St Ives, a much-loved harbour town in Cornwall. It is the 1930s, a time of change, a time when tourists and artists discovered the wild beauty and the quaint cobbled streets. As in all of Sheila Jeffries books, the story is enriched with the wild flowers, birds and butterflies, then so abundant on the Cornish cliffs. The special light and colours of the sea shine from its pages. Cornwall’s fascinating folklore is woven into the story as are the traditions of the Cornish people, the male-voice choirs, the RNLI, the warmth and love of these strong communities. Between the pages of this book you will share the spiritual journey of Tessa, a girl branded as trouble. You will share a magic era, the sixties, a time of spiritual awakening, flower children and hippies. You will share the legacy of SILENT SPRING, a book by Rachel Carson predicting the great eco-disasters of the age, the deforestation, the disappearance of songbirds and wildflowers. Share the sadness. Celebrate the courage of those who fought to save the earth. Tessa’s dad, Freddie, hero of THE BOY WITH NO BOOTS, taught Tessa the strength of patient love and the healing power of silence. But he also taught her to repress her gift of clairvoyance. In this book you will meet Starlinda, a clairvoyant medium and healer who teaches Tessa some precious skills. How to meditate, how to heal, how to rise above the emotional turmoil into the clear light of spirit. I don’t want to give the plot away, but I think you will be thrilled when you find out how Tessa finally takes charge of her life. I hope it will inspire you. If you’ve ever been at rock bottom, felt suicidal, worthless and lost, then this book is for you. 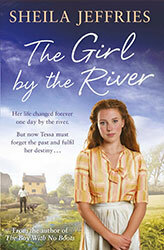 Book 2 of the saga tells the story of Tessa, the youngest daughter of Freddie and Kate. Tessa is a hyper-sensitive, gifted, but difficult child, growing up in the sixties in the era of flower children and hippies. 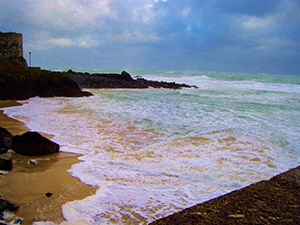 It is set in Somerset and in St Ives, Cornwall. ‘But I, who am poor, have only my dreams. What will happen to the gift through successive generations? Who will inherit it? And who will find the courage to use it?